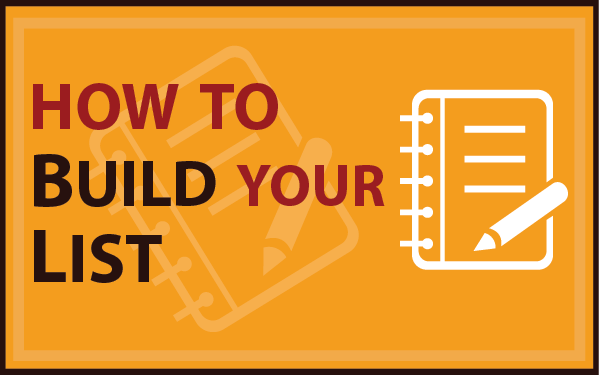 List building is all about connecting with your target audience by offering them high quality information in exchange for their subscription. Once a subscriber is a confirmed member of your list, you can begin sending promotional based follow up emails in balance with relevant and useful content based on your overall market. Internet marketers collect leads using a combination of squeeze pages and double opt-in forms. These forms are generated by your autoresponder provider and are embedded into the HTML code of your squeeze page template. Each time a visitor to your squeeze page enters in their name and email address, they are added to your mailing list database, and become an active subscriber. List building helps faciliate the process of converting subscribers into active customers, since once your prospect has been added to our mailing list, you are able to develop a relationship with them, that will encourage sales as well as repeat sales – aka more profits!. With autoresponder services like GetResponse and Aweber, you are able to set up an unlimited number of mailing lists, each one featuring customized code that serves as your opt-in box. By segmenting your lists, you will be able to tailor your emails so that they directly communicate with targeted groups of subscribers who are interested in specific information or topics. An autoresponder is a mailing list system set up with pre-loaded messages due to go out on scheduled times. This means that you can write all of your messages at once but have them trickle out to your subscribers on various days. Being able to pre-create this content makes life a lot easier as an email marketer because you can set it up on auto-pilot and spend your time and effort consistently driving traffic to your squeeze page in order to continuously expand your list. The autoresponder service provider you choose will provide you with an account where you can log in and create unlimited email campaigns as well. This means that you can cater to a dozen or more niche markets but keep things organized and well managed by emailing these groups individually as to avoid confusion. For instance, perhaps you are interested in the pet training niche market as well as the basket market. You would simply create two autoresponder campaigns. One titled basket and one title pet training. You would create your content separately for these two markets, prefill your autoresponder account and it would instantly send out your notices, news and updates to each group of subscribers. If you choose to host your own autoresponder system, one of the most feature-laden service on the Internet is available from AWeber. And I know that because over the last 10 years I test them all, and AWeber is by far the best! Autoresponders are easy to set up and easy to use, which is great news for anyone who isnâ€™t technical with the Internet. For the price they cost and how easy they are to operate… autoresponders can make your Internet business easier and more profitable than ever before. A squeeze page houses your opt-in form and provides a place for your contacts to find you, evaluate what you are offering and make the decision to become (or not!) an active subscriber of your list. A squeeze page is very similar to a salespage in terms of its primary function is to pull in customers and motivate them to take action, in this case, subscribe to your list. That call of action is essential in creating high preformance squeeze pages, and you must place emphasis on ensuring that your visitors are directed to fill in the opt-in form, otherwise they will not be added to your list. You need to clearly direct visitors to enter in their name and email address as well as instruct them to confirm their request to join your list (if you are using double opt-in). One thing to keep in mind when developing your squeeze page is that it should motivate visitors in the same way that a traditional sales page should, however, the actual structure of your squeeze page will be very different. With sales pages, they are typically designed to offer as much information about a particular product or service as possible, since the main focus is on transforming a visitor into a customer. With a squeeze page, you aren’t asking your visitor to make a decision to purchase or committ to anything other than to subscribe to your mailing list where they are rewarded with a FREE incentive. Keeping this offer or giveaway in mind, when you develop a squeeze page, you need to have a strong focus on your market, and design your offer around an existing problem, need or question. To come up with the best incentive offer possible, you’ll need to thoroughly evaluate your market, as well as competing offers so that you can create a relevant product that is in demand and likely to capture attention from your target audience. Squeeze pages should be designed to offer a clear navigation system, basic structure and template and a compelling offer. We will discuss the anatomy of a successful squeeze page in an upcoming post, so that you can begin to develop your own. Your giveaway is essentially, the most important element on your squeeze page. If your offer doesn’t motivate visitors into subscribing, all of your marketing efforts will be lost. This means that you need your offer tobe of interest to the majority of your target market, rather than to a small group of subscribers. The higher the quality of your giveaway as well as the more relevant your offer is to your market, the easier it will be to recruit new subscribers. There are many different ways to ensure that the product you are giving away is of a high-perceived value by your subscriber base and likely to be successful in converting new subscribers. To start, consider the different types of products that are being successfully sold in online marketplaces and create a shorter version of a hot selling product, and offer it for free to anyone who subscribes to your list. If competitors are successful in selling a similar product and you are giving away a high quality product based on the same topic, imagine just how easy it will be to recruit visitors and subscribers to your site. And better yet, what better way to begin building a relationship with an active subscriber base than by offering them something of equal value with no strings (or price tag) attached! The key to creating a successful giveaway product is in its overall relevancy and existing demand. You want to make sure that your target audience is actively searching for similar information, and that it is being sold successfully in the marketplace. If you do that, you will have little difficulty building a massive list of targeted prospects who will be eager to receive your emails and broadcasts. powerful method of building a massive mailing list while generating new business for your product is by offering a leaked chapter of your info product. By offering this free chapter, you are able to provide new subscribers with a sample of the quality of your work, as well as generate buzz around your upcoming product launch. If your product is well written, you will find it exceptionally easy to build a subscriber base of people who will likely purchase the full length version when it launches. This is also a savvy method of creating a viral campaign for your upcoming launch as people pass around the ‘leaked chapter’ to everyone they know. If you are interested in outsourcing your project to experienced freelancers, you can easily find a trustworthy professional from freelance marketplaces. There are many different domain registrars available to choose from. Personally, I use Namecheap however, one thing to keep in mind is that you should have a good idea as to the niche or market that you are intending on targeting prior to registering your domain. That way, you can register a domain name that incorporates relevant keywords pertaining to that target audience. For example, if I wanted to build a mailing list that targeted the work at home job niche, I would consider registering a domain name that incorporated the keywords ‘legit online jobs’, such as Legit-Online-Jobs.com where I would offer a free report focusing on how to find a legitimate work at home job. 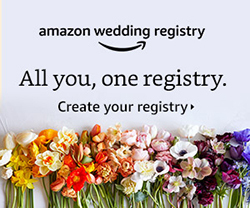 The domain and the content both speak directly to my target audience. In order to streamline your ability to build targeted lists, you also need a web hosting account, making it easy to capture your visitor’s information, and add them to your list by showcasing a squeeze or landing page. When it comes to choosing a hosting provider, you need to make sure that you go with a service that allows for flexibility and fast upgrades. You can start out with a smaller package, and as your marketing expands, you can upgrade your account to a larger package. With your hosting provider, make sure that they offer the ability to use sub domains, so that you can create multiple interior pages for every squeeze page you create. This is where it all really begins; creating a high converting squeeze page that directly communicates with your target audience and motivates them into subscribing to your list. By providing solid information, and relevant content, you will quickly begin to establish credibility with your list members and a reputation as someone who is interested in providing high quality information and exceptional value. A squeeze page is NOT designed to sell. It’s primary job is to convert traffic into confirmed subscribers and you need to keep this in mind when creating your page. All you need is a simple web page you can set up on your website. There are even free plugins for websites that are designed on the WordPress platform that will automatically insert an opt-in form on your website. To help you create the most effective squeeze page possible, there are important elements that you need to include in your own squeeze page.